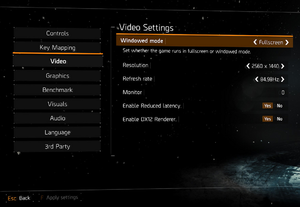 All versions require Uplay DRM and a constant internet connection for all game modes. The Gold Edition contains the base game and the season pass. Most cutscenes are pillarboxed 16:9. Will not run at lower resolution than native desktop resolution and there is no pixel density / render resolution slider. 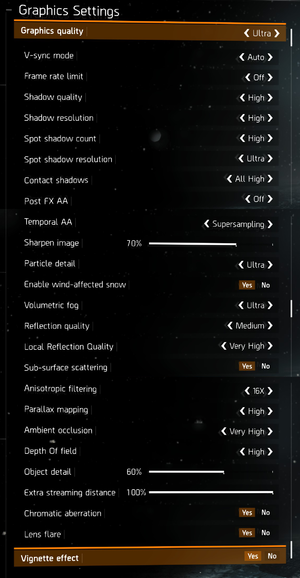 SMAA (Ultra, High, Medium, Low, Off) and SSAA through Resolution Scale setting. TAA is always on and can't be disabled. Some keys bind to two actions and can't be separated (Ex: Melee and View Player Info). Off by default. Can be enabled or vice versa. 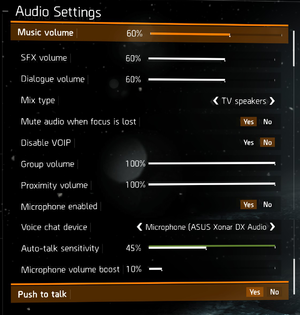 Can be toggled in the options menu. 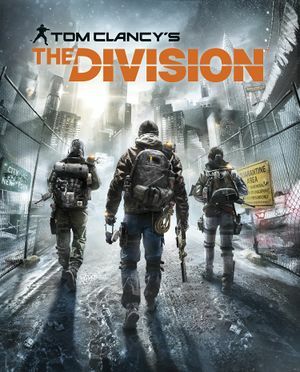 See Helix Mod: The Division (CM Profile and fix). Steam: right click on game, properties, uncheck enable Steam overlay. Uplay: right click Uplay tray icon (near clock), settings (hamburger nav button in top left), uncheck enable overlay in supported games. If the problem remains, go to %USERPROFILE%\Documents\My Games\Tom Clancy's The Division\ and delete everything except user.bindings. Restart/start the game and fix your graphics settings if needed (set it to Dx12 again). Start the game and fix your graphics settings. 11, 12 DirectX 12 added on December 15, 2016. ↑ File/folder structure within this directory reflects the path(s) listed for Windows and/or Steam game data (use Wine regedit to access Windows registry paths). Games with Steam Cloud support may store data in ~/.steam/steam/userdata/<user-id>/365590/ in addition to or instead of this directory. The app ID (365590) may differ in some cases. Treat backslashes as forward slashes. See the glossary page for details. This page was last edited on 26 March 2019, at 04:09.